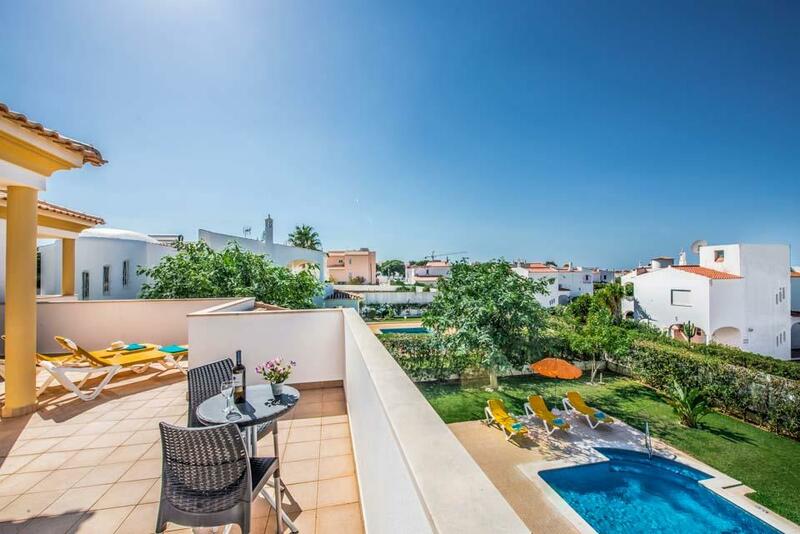 A delightfully modern detached villa situated within easy reach of the Blue Flag beaches and all amenities of the popular resort of Galé and Albufeira. 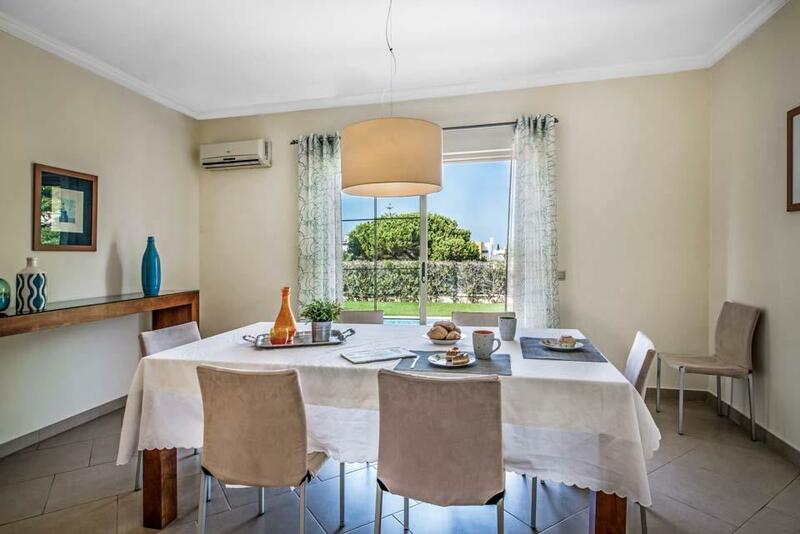 Villa Altair enjoys a truly delightful location. Nestled in a colourful Mediterranean garden this outstanding Villa is within walking distance of the lovely sandy beaches of Castelo, Coelha and Gale, all of which boast respected waterfront restaurants and just some of several beaches found along this privileged coastline to have been awarded the coveted Blue Flag for cleanliness. As lovely as the interiors of this impressive Villa are, we believed that most of your time will be spent outdoors in the expansive grounds, which feature an abundance of outdoor terraces with an eye-catching private swimming pool basking proudly in a very sunny and secluded spot. This idyllic experience is never more sublime than when the sun sets, the perfect time for a sun downer whilst the barbecue is lit! 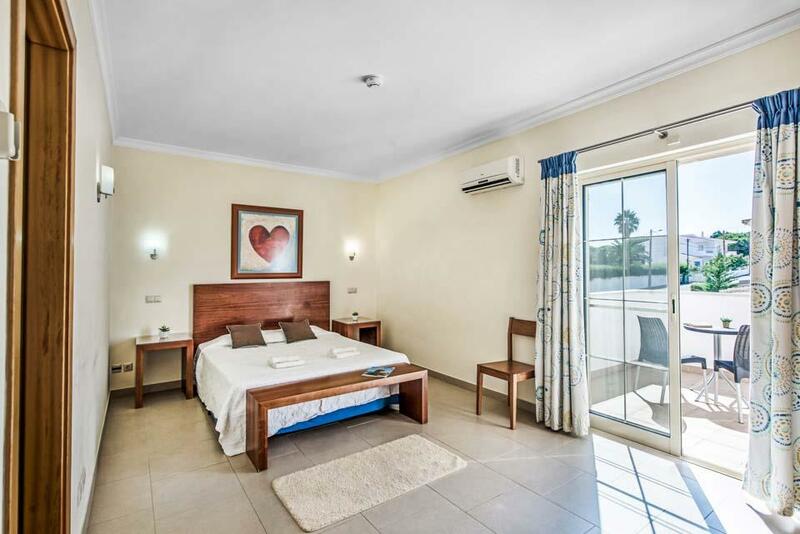 Villa Altair is over two levels, with the entirety being on a flat approach to the front door, which measures 133cm, the ground floor has no internal steps in and around this level, the ground floor level comprise of one en-suite bedroom with door widths of 75cm and 73cm respectively. The approach to the pool area includes four steps down to the this area, there is however a wheelchair ramp across the grass area to access the pool area, entry into the pool is via 3 roman style steps and includes a hand rail in the middle entry is into the shallow end which is 85cm there is also a ladder to use at the deep end which is 180cm. 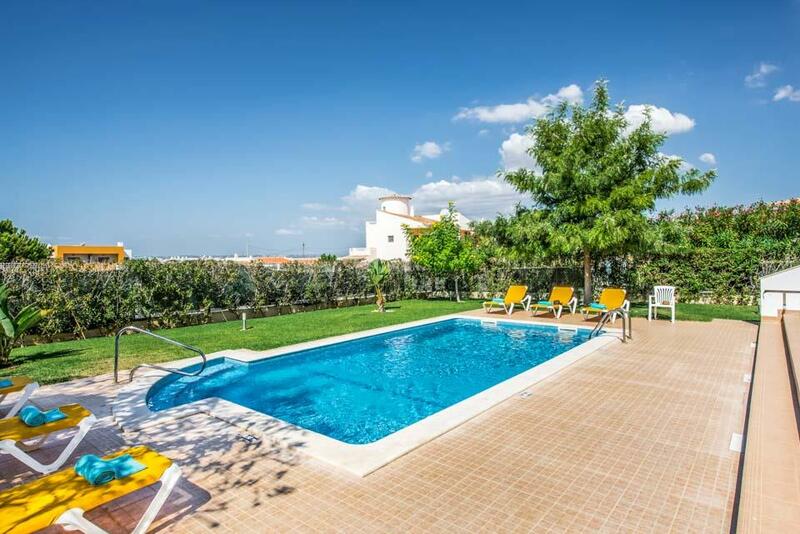 A lovely, clean and well maintained villa with great pool and gardens. Sadly no supplies are provided in the villa, so a food pack is essential if arriving late.. Plenty of local restaurants, some within walking distance, and beautiful beaches you can walk to in about 20 mins. Nearest large supermarket is quite a walk away but there is a very small shop 5 mins away. Would definitely return but will hire a car next time. Great location for a quiet relaxing holiday! The villa was exceptional and to a high stranded. The pool was clean and lovely area to sit and relax. 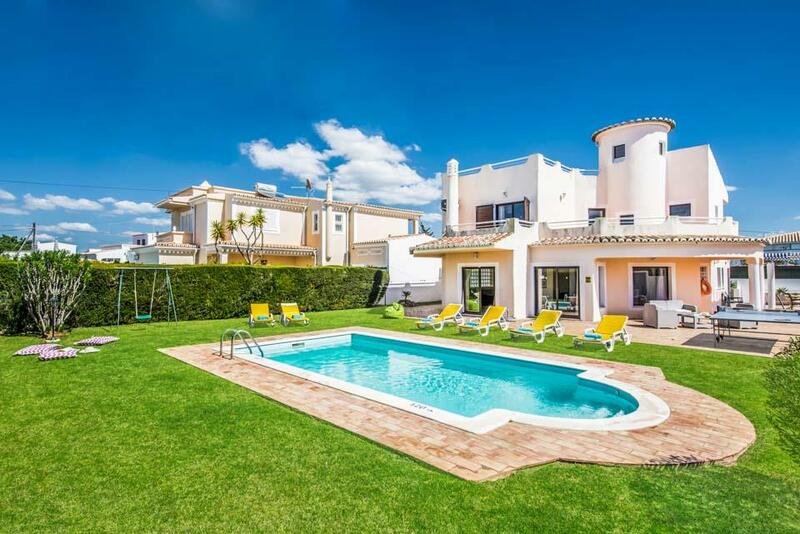 The villa is beautiful in a very good position and close to restaurants and a few bars. Location is great. Close to restaurants and area is quiet. Villa was spotless. 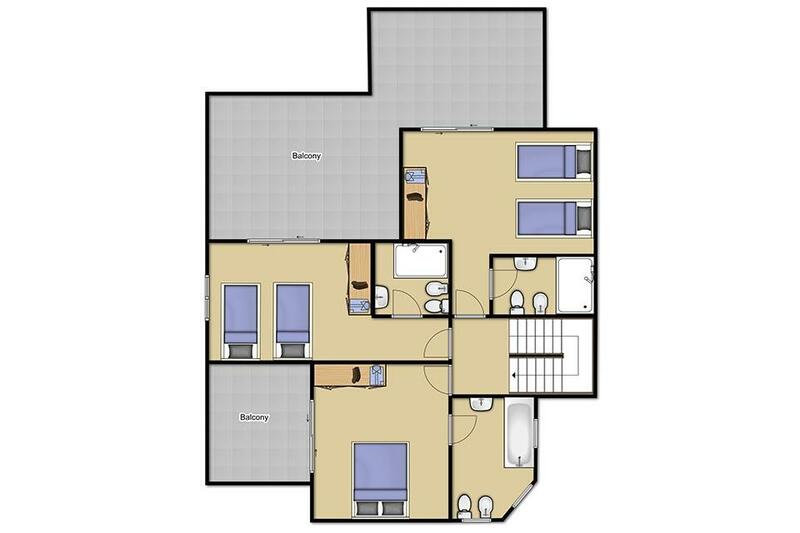 Spacious, well equipped, well maintained and presented. Resort had some lovely restaurants in easy reach. Supermarkets were either walkable (Spar) or close by for larger stores. 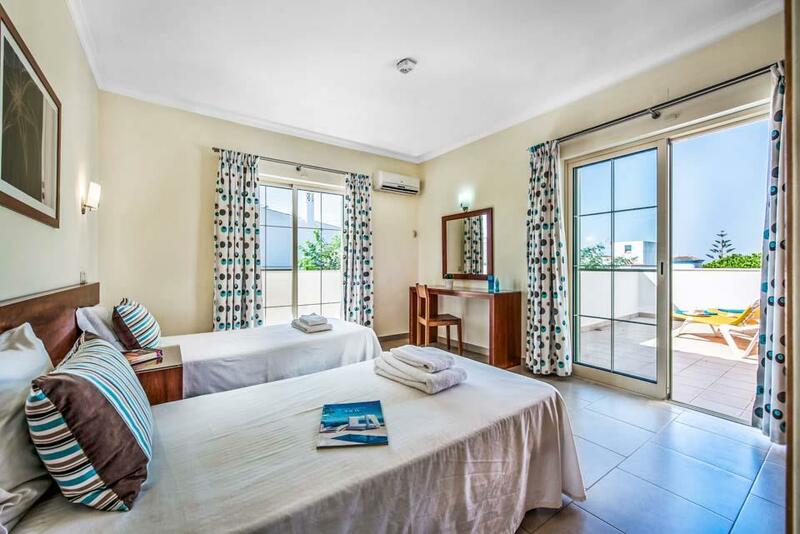 Villa is well maintained, clean and secure, its a short walk (and even shorter drive) to local amenities such as supermarkets, restaurants and beaches. 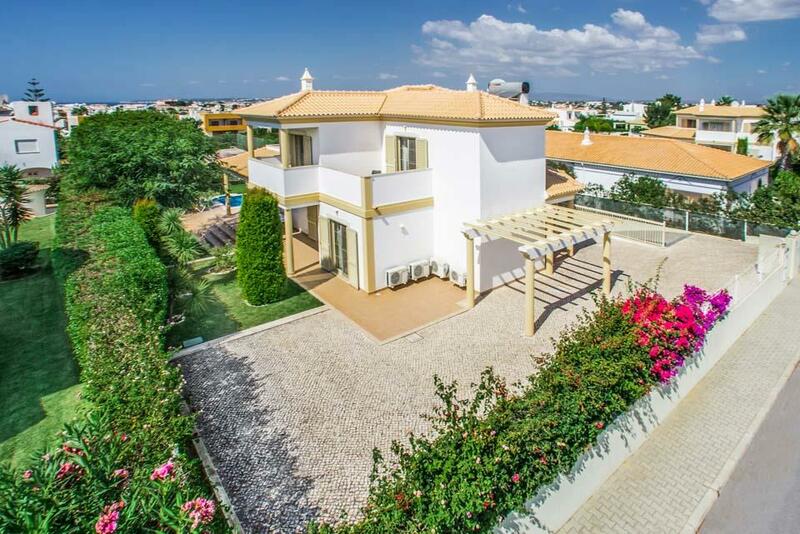 Excellent villa, plenty of space, private bathrooms and lots of facilities. Spotlessly clean. We had a wonderful family holiday, recommended. Thank you Solmar. Rated Excellent. 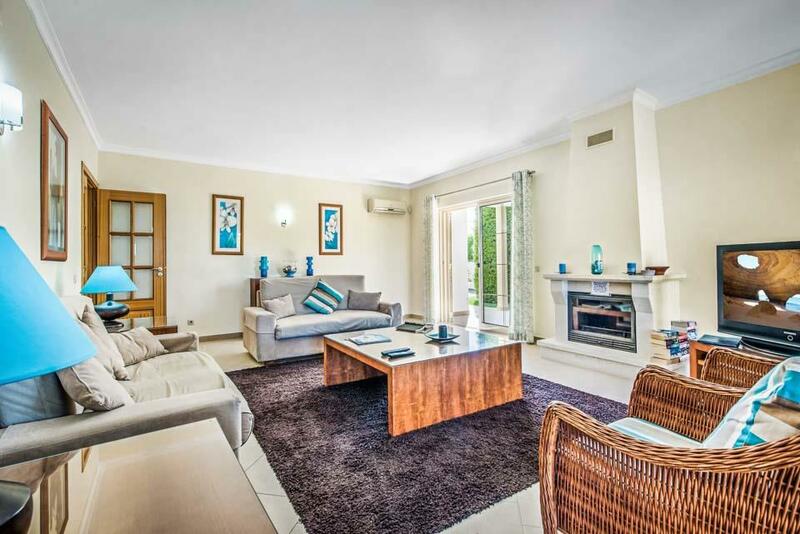 Beautiful villa, spacious and had everything we needed for a relaxing holiday. Grounds were well kept and pool lovely, I have recommended this holiday to everyone I know. Rated Excellent. Villa was lovely and spacious, and very well kept. Lovely resort lots of nice beaches within walking distance and nice restrunants nearby supermarkets only downside if you want to go to new /old town need taxis if you've not hired a car taxis cost about 12-15 euro each way this can add up over week. 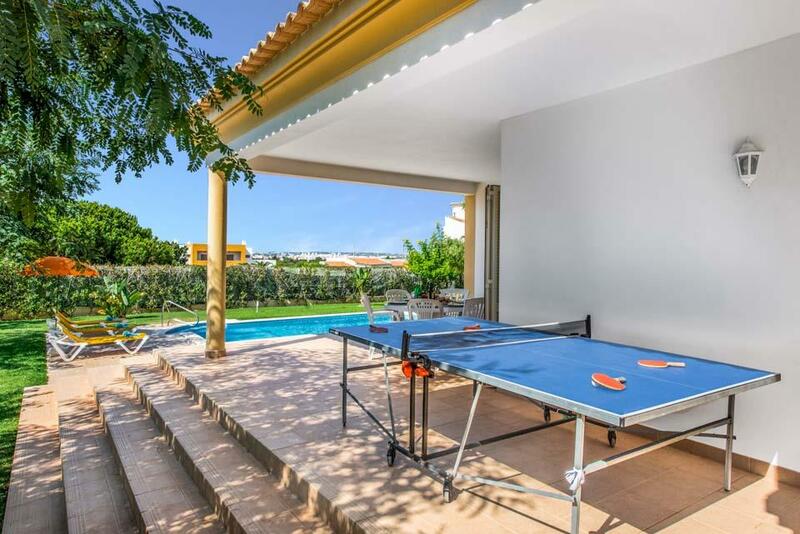 The villa is excellent everything you could ask for and very roomy and clean great for a relaxing week with your own pool for a large group. Have used solmar villas for years and will continue to use for future holidays. 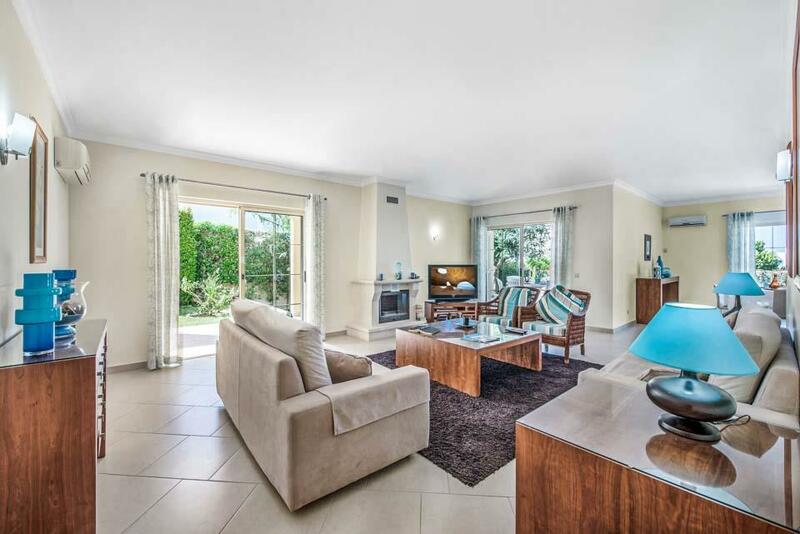 The villa is excellent everything you could ask for and very roomy and clean great for a relaxing week with your own pool for a large group. Have used solmar villas for years and will continue to use for future holidays. The villa is beautifull, clean and new. 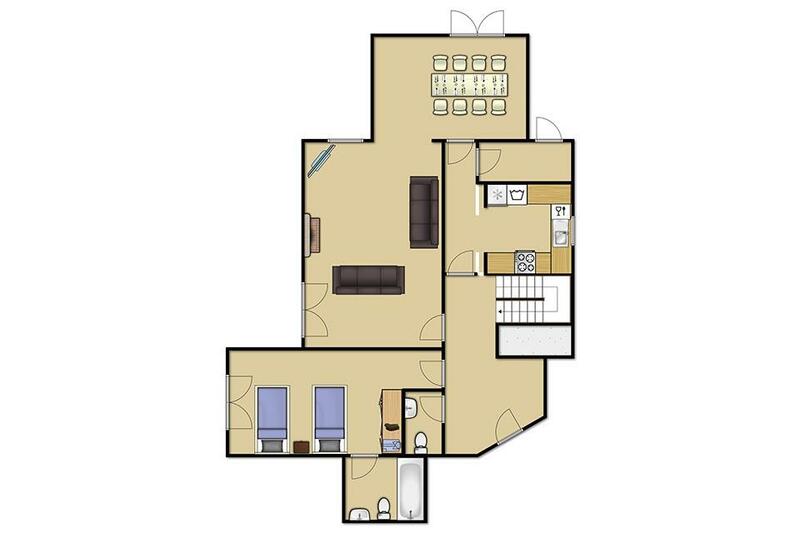 With a big living room, a nice garden and swimming pool. 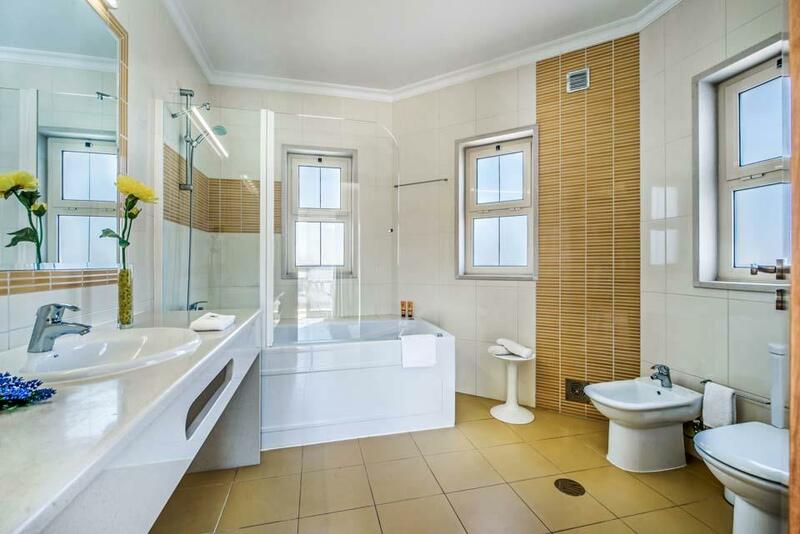 All the rooms have a personal shower or bath. Lovely villa. 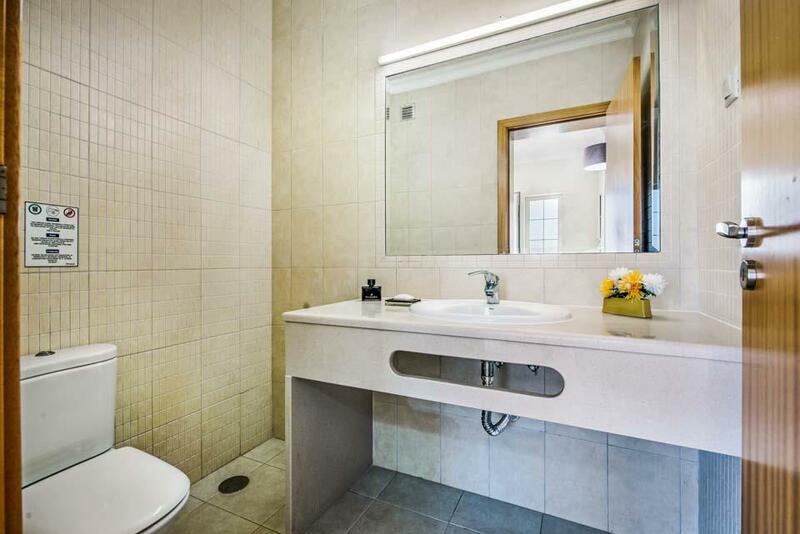 Very clean and well furnished. Everything you could want for a relaxing holiday. We went in April just before the weather warmed up so could have wished for some form of heating during the cooler evenings. We loved the proximity of the local beaches which were within walking distance (less than a mile). Local beaches suitable for children and numerous hidden coves with small beaches for the more adventurous. Cliff walks to these coves are not suitable for small children as they are sometimes precarious and tiring to negotiate. OK for fit walkers of any age though! Found very good eating places specialising in Portugese food where the local people eat - and cheap! One was about half a kilometre west of the marina at Albufeira. The villa was in a great location. It was absolutely spotless and had everything we needed. 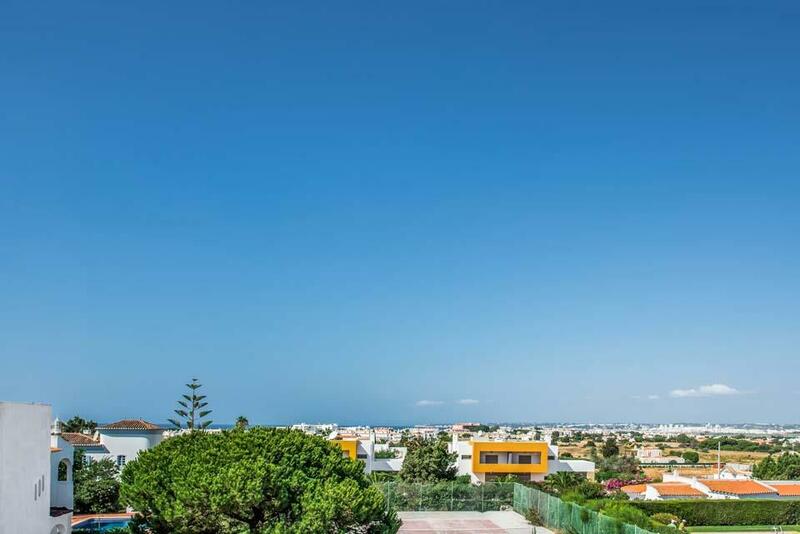 Car hire is recommended to visit the nearby beaches, restaurants (which you can walk to) and to visit other resorts in the Algarve. The pool at the villa and the outside area are very nice and well maintained. Would not hesitate in staying at this villa again. 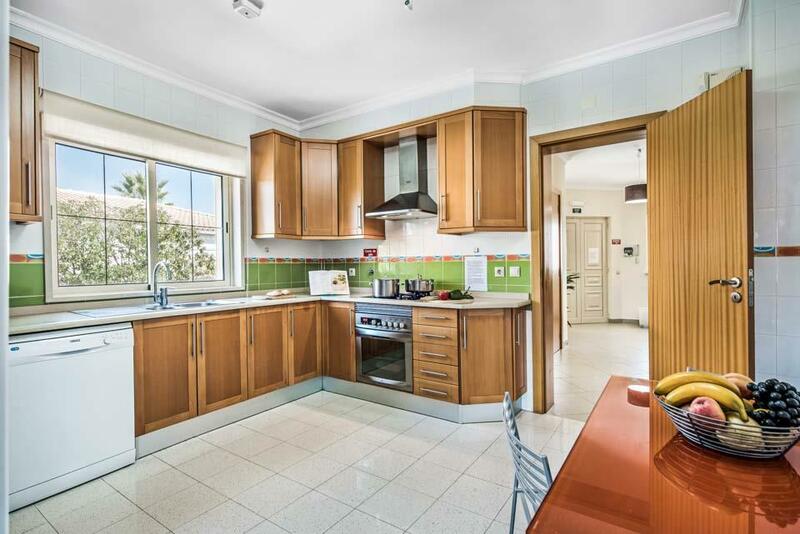 Gorgeous villa - extremely clean and maintained throughout. Good restaurants and bars close by and supermarkets a ten minute walk away. Plenty of stunning beaches nearby - some busy, some quiet depending on your tastes. 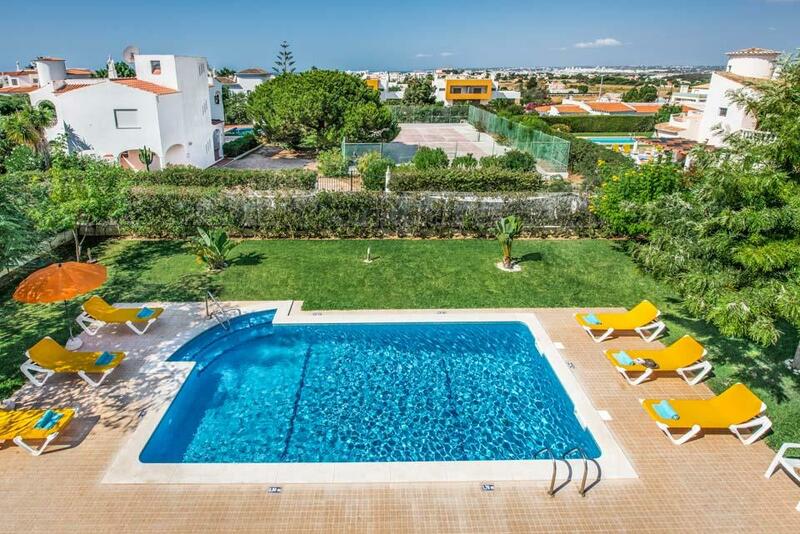 Albufeira is only a short drive or taxi ride away. Would certainly recommend. Thanks for a great holiday. Rated Excellent - The villa was absolutely stunning. There was 6 of us and a toddler staying there and we couldn't have asked for better accommodation. The pool was a perfect size but a tad cold! 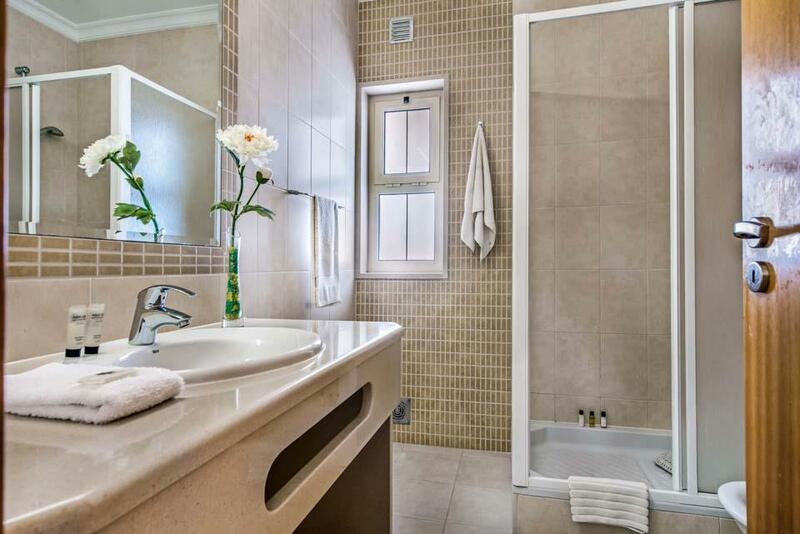 The bedrooms were lovely with their own en suite bathroom. 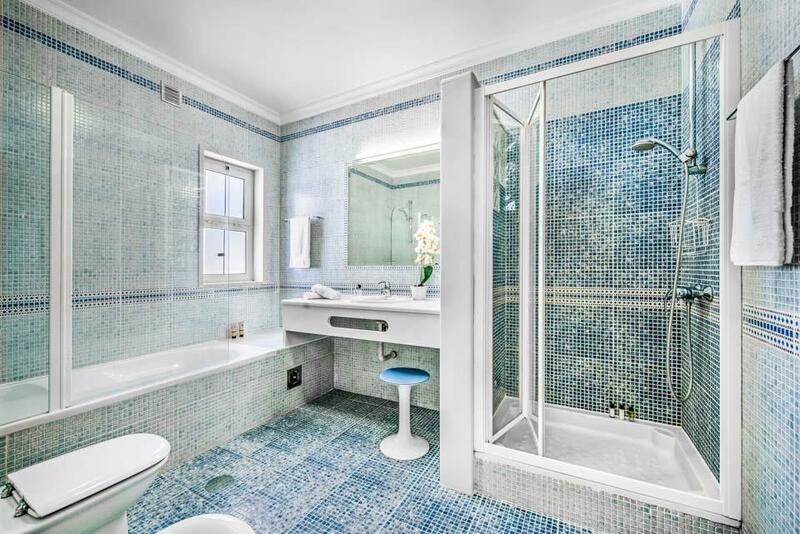 One of the rooms had a jacuzzi bath. There was a BBQ which we used. A nice terrace to sit at in the evenings. A great bar and restaurant a short walk called JK's. Lovely breakfast there. An amazing fish restaurant called Pedras Amarelas down at the beach front. Maybe a 20 minute walk from the villa. Delicious. 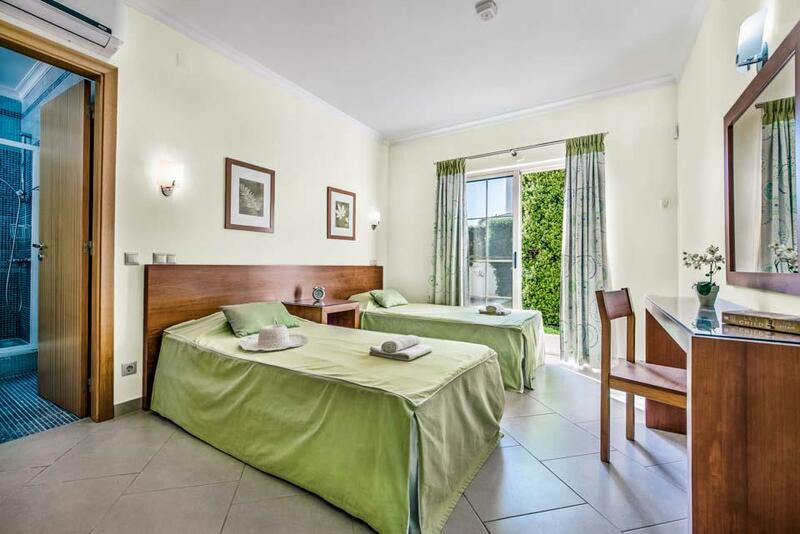 The villa was exceptionally clean and the cleaners came twice during the week asking if we wanted the rooms cleaned. A short taxi ride from albufeira which cost about 15 euros. In Alburfeira itself there was a most delicious restaurant called The Cockerel Country Kitchen. Well worth a visit. We will definitely use Solmar Villas again. Rated Excellent. We had a fabulous stay at Casa Altair. Spotlessly clean, quiet position apart from the cockerel who liked the sound of his voice at odd times of the day! 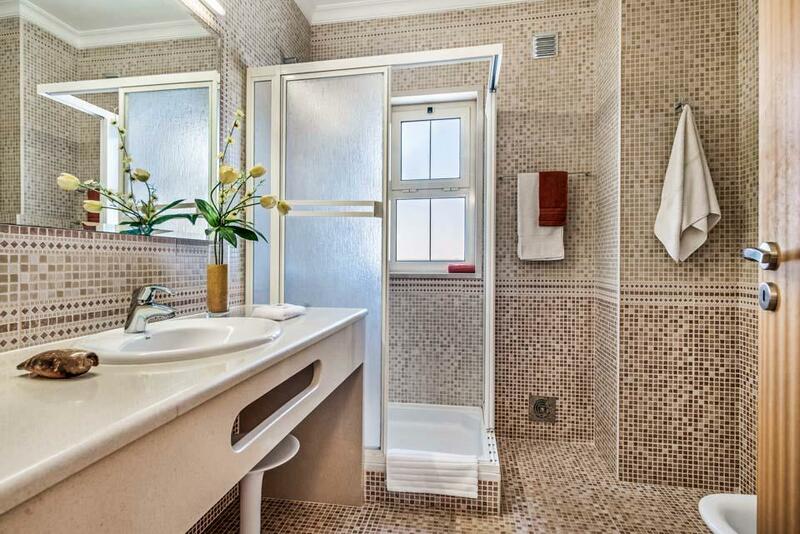 The villa was well maintained with lovely bathrooms and ample kitchen accessories. The exterior was wonderful, just a few steps down to the pool with well-maintained gardens. Highly recommended. I'd rate my overall experience for this villa as: Excellent Pictures on ur website don't do this villa justice. Rated Excellent. We had a great stay at this villa, as we did the previous year. 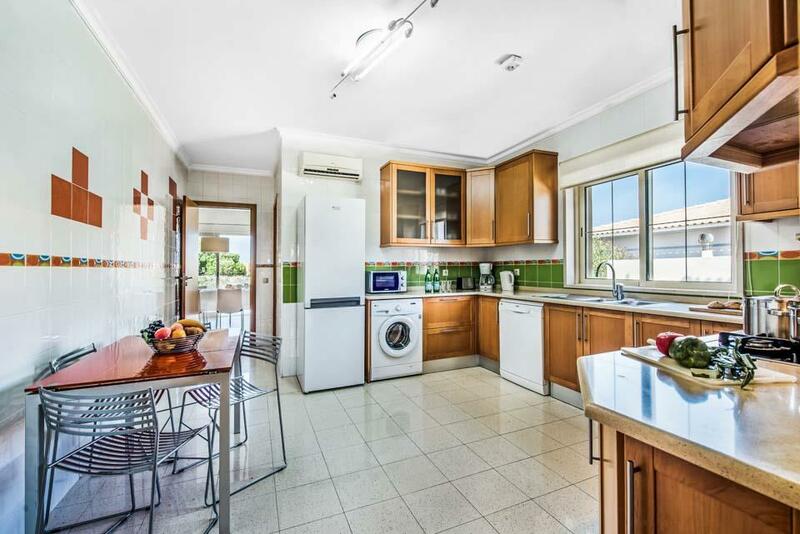 It is very spacious, has a great pool, and lovely shade in the garden, plus it is well maintained. 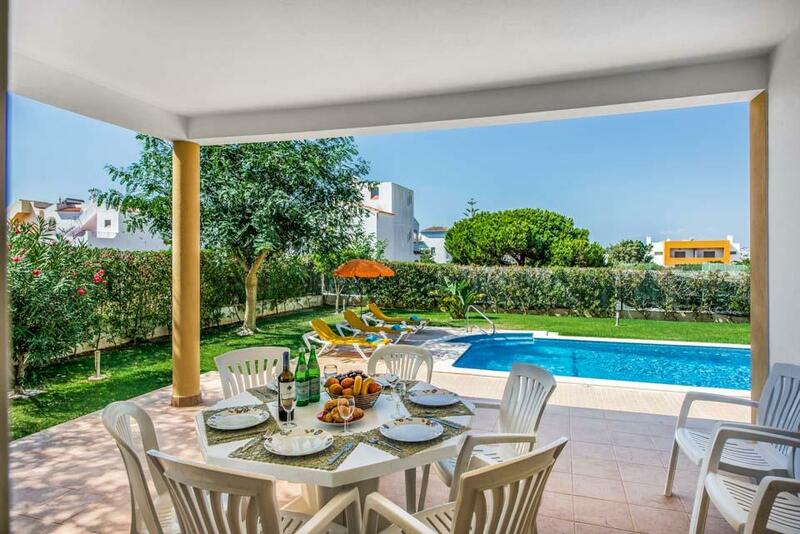 Excellent Wonderful villa and really good support from the booking agency solmar villas. Good quiet location with restaurants/ bars nearby. We had a great holiday at Villa Altair, it was perfect for our needs, clean, modern, nice pool and quiet. We wouldn't hesitate to go back. Maureen was very helpful and promptly sorted out our query. Restaurants we would recommend Jompras, which you can walk to, Praia Grande, Pedras Amarelas, which is on the beach at Gale and Apolonia do great kebabs for the BBQ!! The cleaners did come every 2 or 3 days and our towels were changed frequently. Very impressed. Thankyou. The Villa was fantastic. The area was very quiet this year. The beach is beautiful. This was our second visit to the same villa and it suited us for the type of holiday we were looking for. It was kept clean and tidy, inside and out. 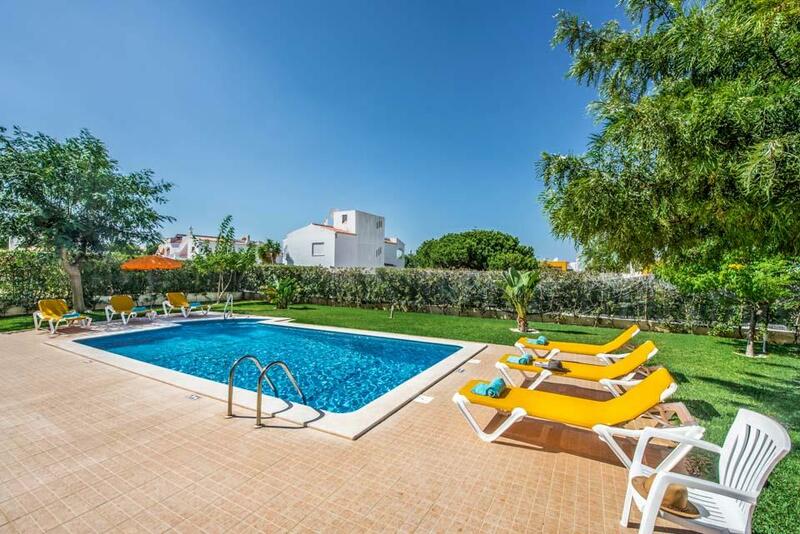 A truly lovely villa - spacious, comfortable, clean and roomy with a lovely pool and outdoor area. No complaints at all. There was a very good reatsuarant at the end of the road but cant remember the name and another one a bit further out on the road to wars albufeira. we are very likley to travel with you again. Thanks. 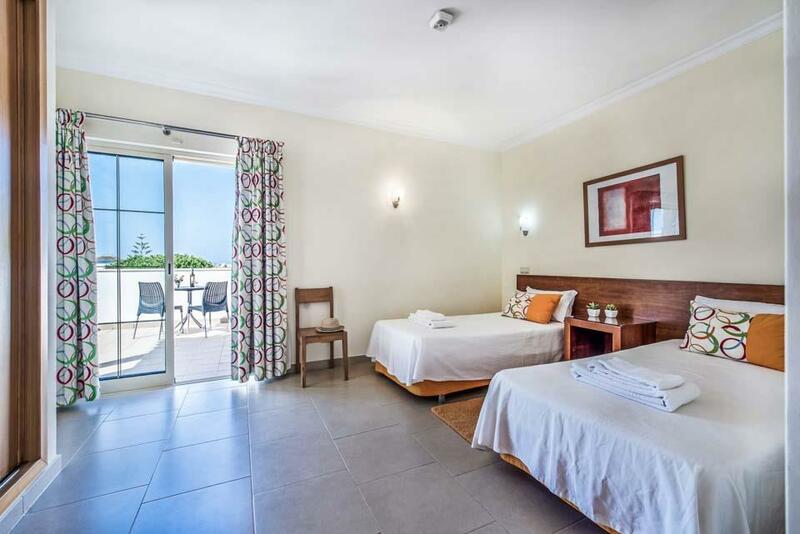 **Save up to 25% by arriving and departing on the standard changeover day**Four-bedroom Casa Ferrero is certainly a cut above the rest, with its grand classical design, freeform swimming pool and dedicated games room. 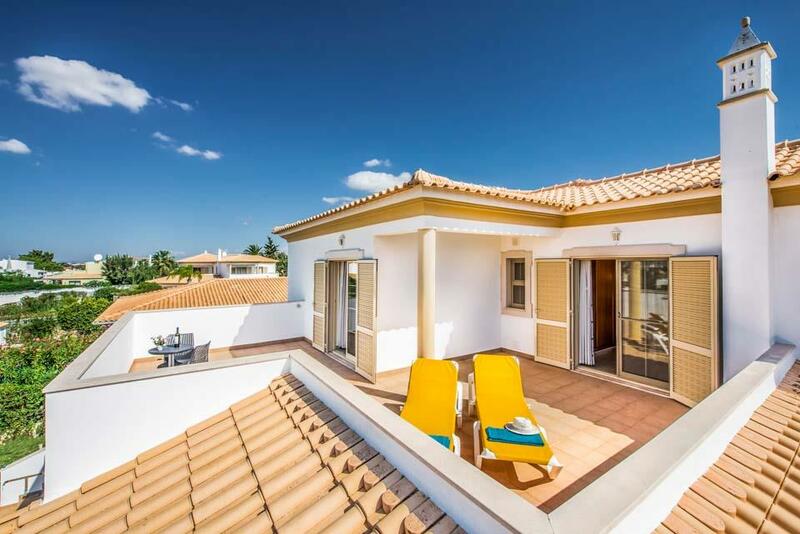 Situated in Gale on Portugal’s Southern..
**Save up to 25% by arriving and departing on the standard changeover day**The perfect choice for beach lovers and those looking for a private villa holiday without driving abroad, Villa Antao is a must. 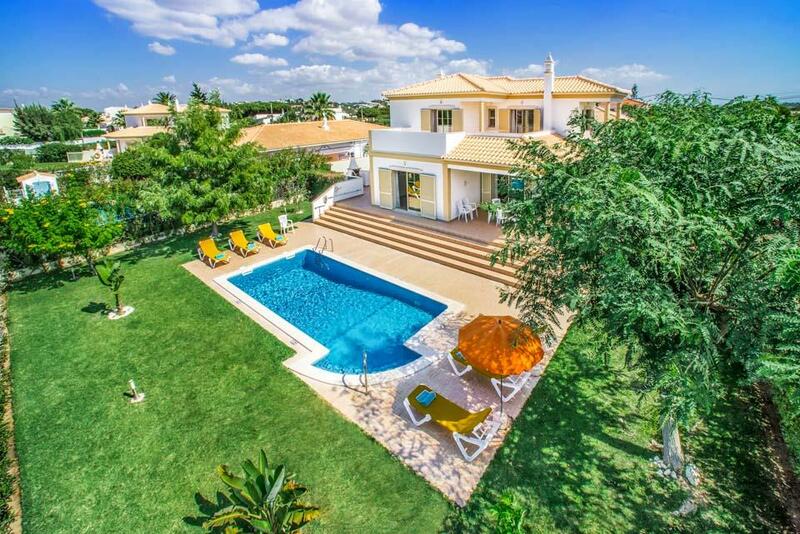 Built over two levels, the ground floor has a comfortable..
**Save up to 25% by arriving and departing on the standard changeover day**We love the design of Villa Charlota, with its Portuguese curved walls, turrets and grand pillars. The manicured garden, pretty pale façade and natural stone surrounding the pool..